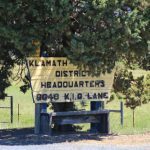 After having several signatures rejected, Jason Chapman’s recall petition against Vice Chairman Grant Knoll has been verified by Klamath Irrigation District Office Manager, Linda Seater. Needing 15 signatures, Chapman turned in 16, one more than what was required. Now that there are a enough valid signatures, Knoll has until Monday, October 3rd to respond with a “statement of justification” or resign. If he chooses to stay, the recall election will be held Monday, November 7th. Like Chairman Cheyne and Ken Smith, the complaints against Vice Chairman Knoll are violations against Oregon public meeting laws (which led to an ethics investigation by the Oregon Government Ethics Commission), allowing legal fees exceeding the KID legal budget, hiring two new outside attorneys without full board and public disclosure, attempting to sideline the C Canal Flume Contract and neglecting the fiduciary responsibilities of the irrigation district. 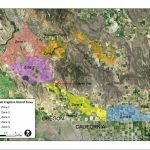 In the last few weeks, we’ve seen more poor decision making with the hiring of John Wolf as District Manager, a 66-year-old Texan with no experience in managing an irrigation district, no computer skills, no familiarity with GIS and no demonstrable understanding of how an irrigation district works. If you are in Zone 3, we encourage you to make sure you can vote. You can find the KID main office at 6640 KID Lane, Klamath Falls, OR 97603. The office hours are from 8 am to 4:30 am, Monday through Friday. They can be reached at 541.882.6661, but you need to register by 5:00 p.m., October 18 to vote in the Zone 3 recall. For more information on Knoll’s recall election, see the Herald and News article, “Third KID board member subject to recall“, or you can read Linda Seater’s letter to Jason Chapman confirming his recall petition signatures.